​West Ham manager Manuel Pellegrini has revealed that Jack Wilshere's absence for the win over Cardiff during the week was owing to another new injury, just days after making his return from ankle surgery. 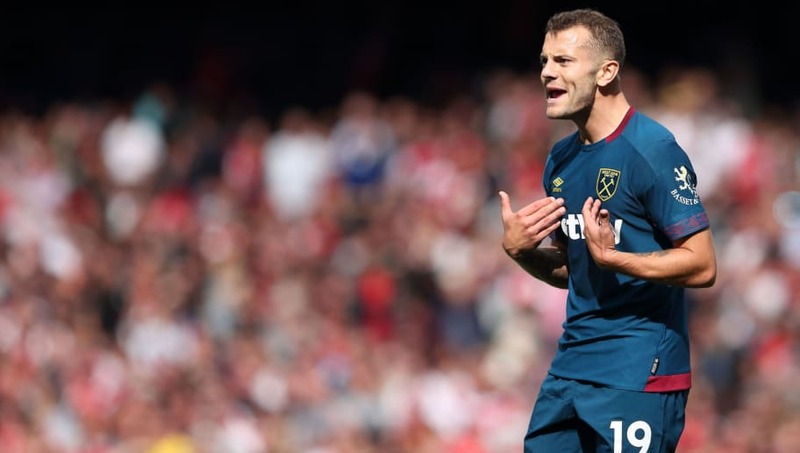 Wilshere's otherwise promising career has so far been marred with injuries, and has only managed five Premier League appearances for the Hammers since joining from Arsenal in the summer, after injuring his ankle in August. He made his return in a brief cameo against ​Newcastle at the weekend, but sat out the 3-1 win over the Bluebirds, leaving many to wonder about his absence. Pellegrini, however, cleared it up, as quoted by ​Sky Sports, explaining it was due to a fresh injury in his other ankle, saying: "Jack has a small pain in his ankle, not the one he injured before." The win in ​Wilshere's absence on Tuesday saw ​West Ham climb to 13th in the table, five points clear of the relegation scrap emerging below them for the time being, as they look to build on the positives from Pellegrini's turbulent early days in charge. It wasn't all good news for the Irons, however, as top scorer ​Marko Arnautovic looked to have picked up a hamstring injury, having to be replaced by eventual matchwinner Lucas Perez in the first half. Pellegrini admits he is unsure what the state of play is as yet with the Austrian, adding: "We cannot know about Marko at this moment. We must wait until tomorrow to see the medical examination and then we'll know what it is."